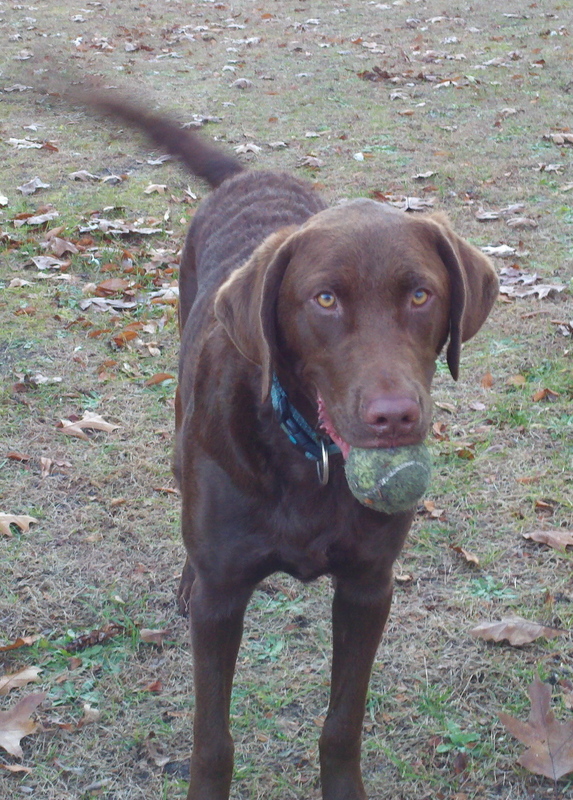 A few weeks ago, while watching the Westminster Dog Show on TV, a seed was planted in my head. I would like a Newfoundland Dog. Personally, I find them to be such beautiful dogs- massive in size yet very sweet. 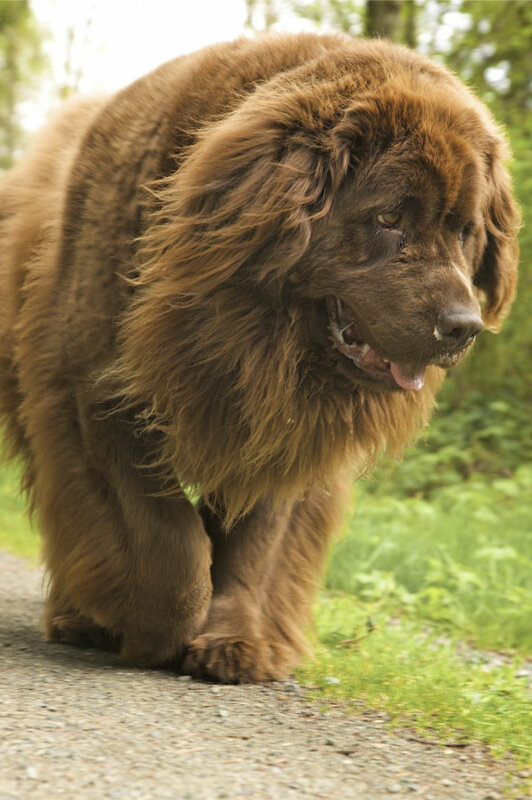 During the program, the commentator stated that Newfoundlands are known as “gentle giants.” Later, I did some research and found that this breed originated in Newfoundland over 500 years ago. There, these dogs worked on boats, swimming through icy waters to handle nets and lines, and retrieve things that fell overboard. They were even known to pull shipwrecked boats to shore on occasion. Weighing a hefty 130-150 lbs on average, they have a broad head and long thick double coat. Their temperaments are known to be peaceful, mellow, loving, patient, and loyal. I want one. Me: Babe, I think we should get another dog. Me: But, Tide would like a sibling. Him: Tide likes it just fine the way it is around here- getting ALL the attention. Me: Pleeeease, Babe. I reeeally want one. Him: Fine you can get another dog, if I can get a boat. Me: Okay, a row boat. And I’ll get a Newfoundland. Him: No, I mean a real boat. A nice, new, big, FAST boat. And if not Plan C, then Plan D: Stage a search-and-rescue where I, being the victim, will pretend to drown in the river behind our house. Out of the reeds will emerge a Newfoundland that courageously pulls me up from under the water and swims me to shore. I’ll choke up some cedar water for effect. Then, I will proclaim that this dog, having just saved my life, must be repaid by coming to live with us. And if all plans fail, I will resort back to Plan A: Begging. 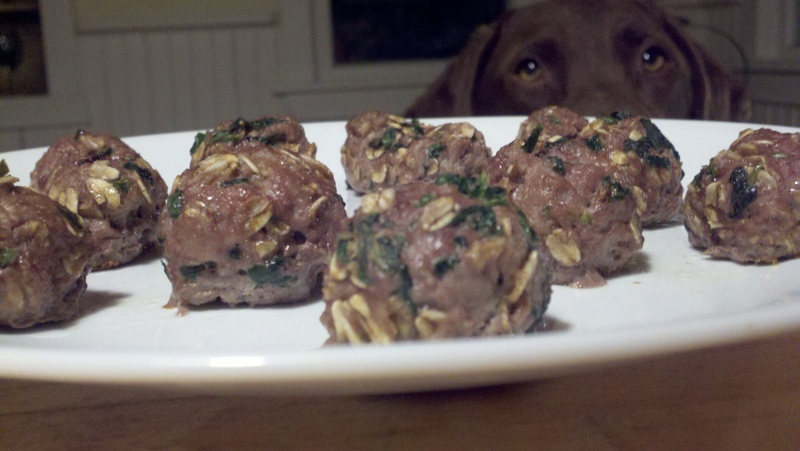 In the meantime, I’m moving forward with Plan B by baking Tidey these protein-packed Mini Meatballs. All sarcasm aside, they make a great dog treat. I baked up a batch and stored them in the refrigerator, giving him 1 or 2 a day as a snack. They keep for up to a week. Mix all ingredients together. Form miniature meatballs, about the size of a walnut. Place meatballs on an ungreased baking sheet and bake at 350 for about 10-15 minutes. Store in refrigerator. Love your recipe for the ground beef dog snacks. Bella (the brown Newfoundland in the photo) was 30″ high at the shoulder, and would have put her chin on the counter to watch you making them. Best.